Match Group’s biggest money maker is Tinder. 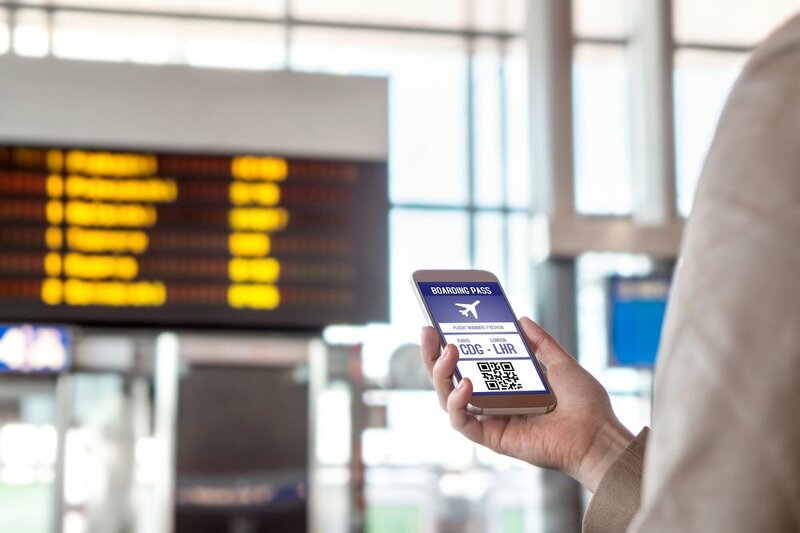 The mobile app grew in-app purchase revenue 11.3% year over year and 2.2% quarter over quarter. It did this despite dropping MAU (monthly active users) by 12% over the course of the 2018 calendar year. 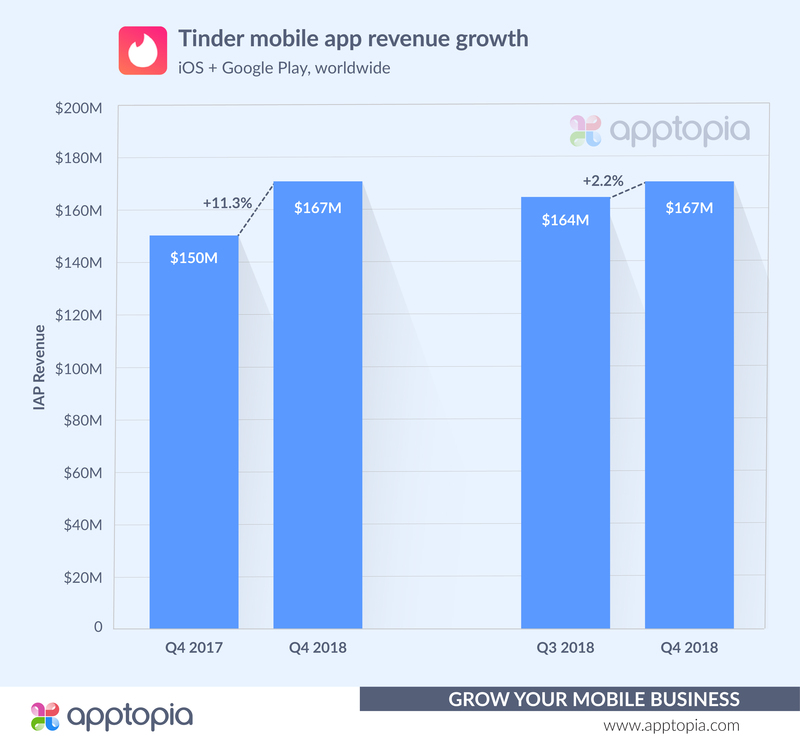 Even so, Tinder acquired 19.4 million new installs in Q4 2018. In the past, Apptopia data has been a strong indicator for Match Group performance. 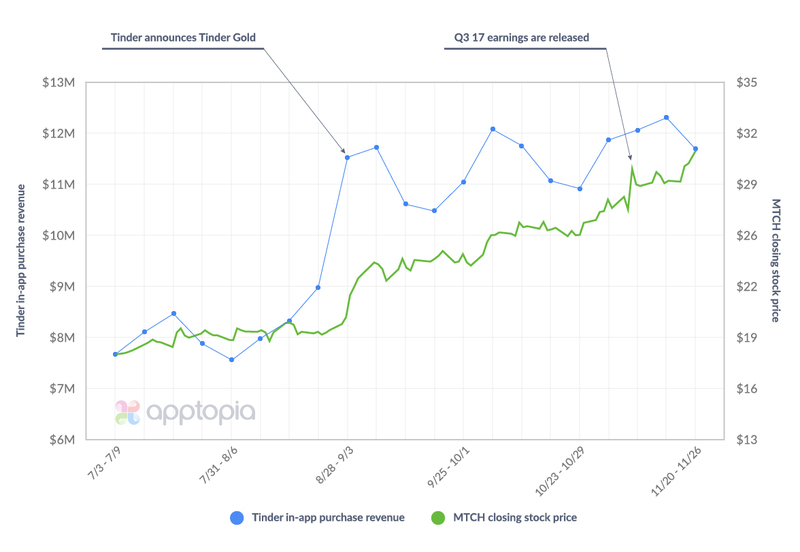 Below is a weekly chart showing the launch of subscription IAP, Tinder Gold. 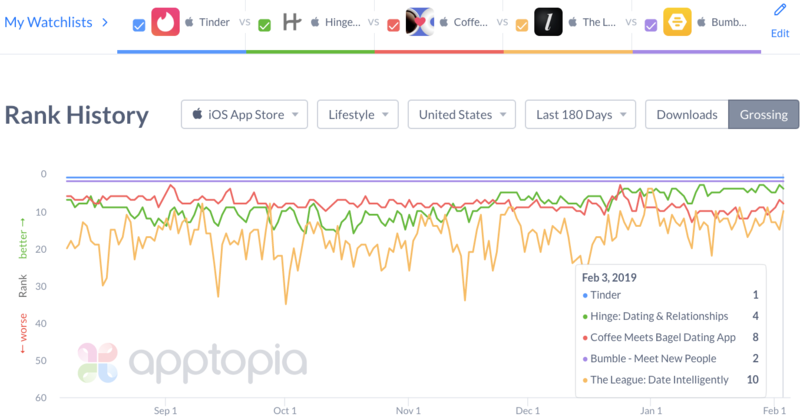 Apptopia recognized the increased revenue long before investors understood the impact. Back to our indicators - Match Group purchased 51% of dating app Hinge in June 2018. Hinge acquired 1.2 million new installs in Q4 2018. Average MAU is up 61% from Q3 2018 to Q4 2018. 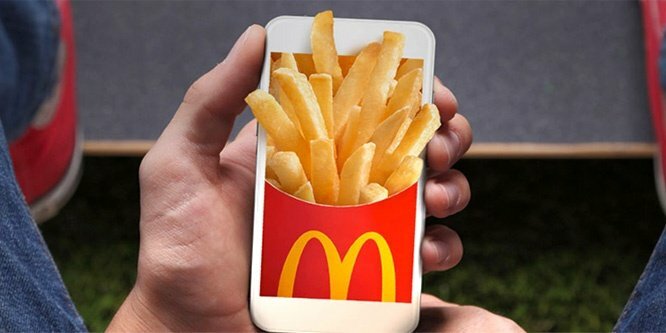 In-app purchase revenue is also up to the tune of 32% quarter over quarter. Another top property of Match Group is OkCupid. This app is struggling with growth compared to its counterparts we’ve already looked at. Keep in mind that OkCupid has a robust web offering in addition to its mobile app. MAU for OkCupid is essentially flat over the full 2018 calendar year. 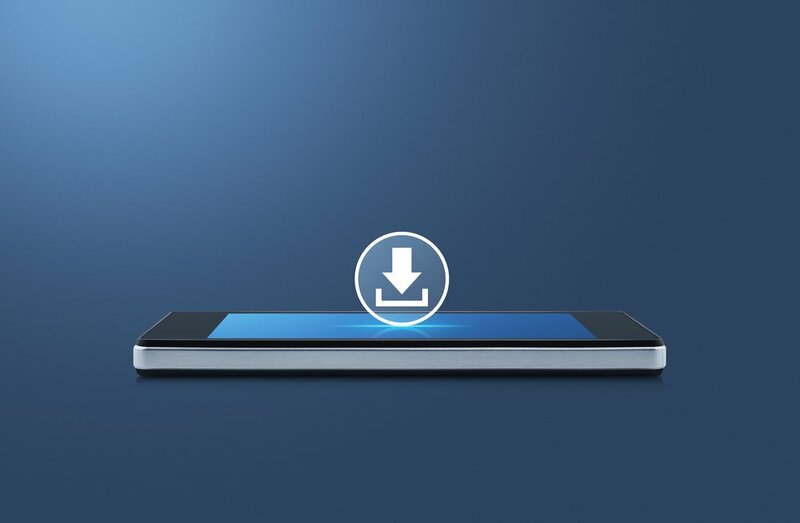 In-app purchase revenue declined 15.5% year over year and declined 10% quarter over quarter. The app acquired about 2 million new installs in Q4 2018. 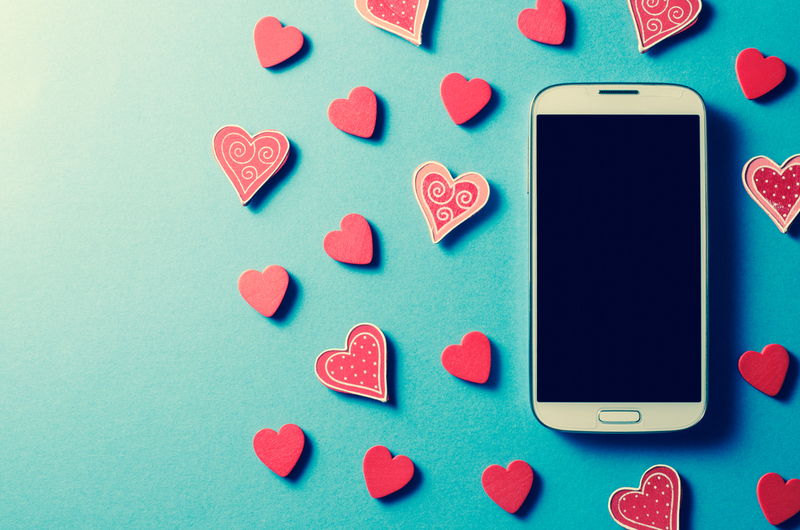 Above is a look at some of the top grossing iOS dating apps in the United States. As you can see, Tinder is always #1 and Bumble is always #2. There is a drop off and fluctuation afterwards. 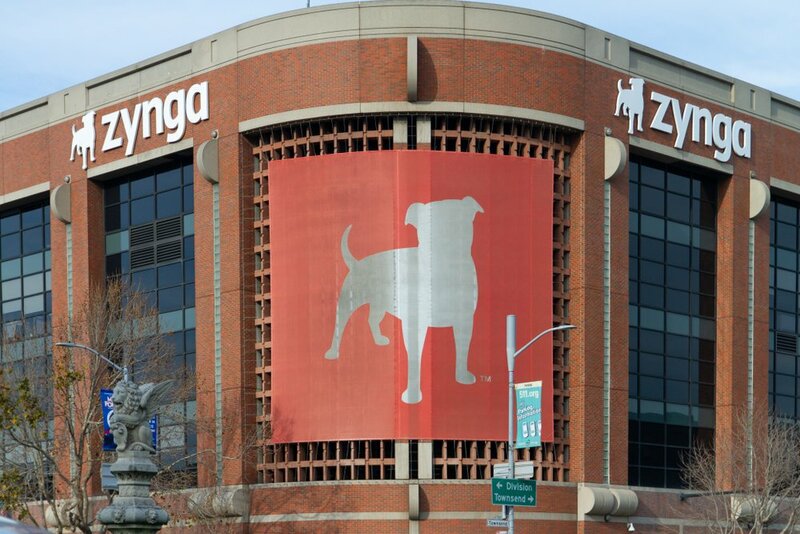 Again, Match Group is scheduled to report this week, on February 6th.